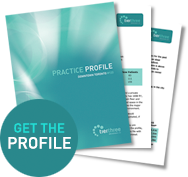 If you were thinking of opening your new practice – this is it! Over 950 patients (last 24 months) with a growing hygiene program – an enviable 45.9% new patient flow – indicative of further growth to be achieved. All located at a busy major intersection, in a highly visible, ground-floor unit – and yes – you will own this as well! A beautiful, thoughtfully laid-out practice – new, state-of-the-art equipment – 2 perfectly equipped OPS, with 2 more, plumbed and wired to accommodate your growth. Be the master of your future as you grow with the community in your own premises.